The problem with seasonality is that it can change each year, and your current fiscal year may not map back to your seasonal index. 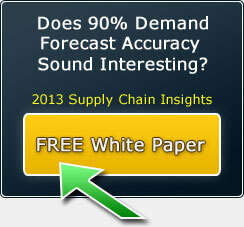 Sales from the last seasonal event may impact your base demand forecast to create inaccuracy. Easter is in a different month and fiscal week this year. 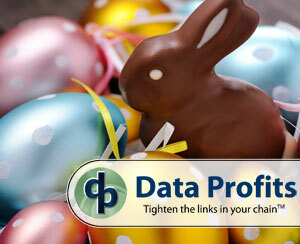 How did you account for the differences when purchasing Easter inventory for this year? Next year, Easter is again in a different month and will be several weeks different from this year. Thanksgiving is a holiday that based on the time of year can add or subtract a whole weekend of December holiday shopping. There are two issues that need to be reviewed and adjusted: the current year fiscal week seasonal index values and the base demand forecast. Last year, Easter was in the 4th fiscal month and the 15th fiscal week. Seasonal indexes you use this year that are based on last year will have the peak sales 2-3 weeks too late in the year. 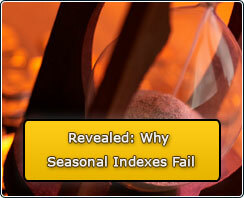 Seasonal Indexes are often set up into 52 weekly buckets and utilize 2 or 3 years of history. Sales from previous seasonal events will impact your demand forecast. Tools that analytically separate the sales into types regular, lost, promo, event, and close-out may help to decrease the impact to the demand forecast. Some software applications, like ours, provide tools to edit the demand sales data to be used in the demand forecast engine, and this can also help reduce error. 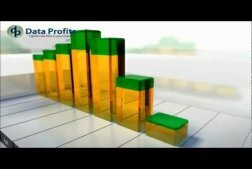 The reality is that the demand forecast engine will forecast based on the data passed into the algorithms to create a base forecast. Sales that occur at different point in the past will have some impact when the system loads the history to update the base demand forecast. 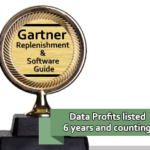 If the wrong data or the right data at the wrong time is included in the sales history, then the base forecast number will potentially be too low or too high. When an incorrect base forecast is multiplied by the seasonal index, the potential for errors can be significantly higher. The result will be missed service goals, lost sales, lower gross margin, and higher safety stock. Seasonality can impact lead time. If a supplier has a lot of product that is based on seasonal events, then the prep and ship days needed may be longer than other times of the year. Product lead time, for our discussion, is the time needed from when a purchase order is placed until the goods are available to pick, ship, or sell. Also, your shelf stock requirements to support sales while you wait for a replenishment order may be different due to seasonal demand. 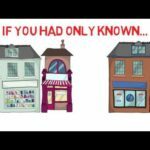 Product Shelf life is another issue that can mean products expire before they are sold due to poor lead time management and inaccurate demand forecast. If your demand forecast is not correctly adjusted, then the amount of inventory your system calculates to meet service while you wait for replenishment will be wrong. The result will be missed service, lost sales, and lower gross margin. [QuickLinks align=”left”]We suggest you review your seasonal index values for seasonal events this year that occurred in a different fiscal week and create a plan of action for your business.